Wisepops is fully compatible with BigCommerce. Follow these 7 easy steps to set up Wisepops on your BigCommerce website. 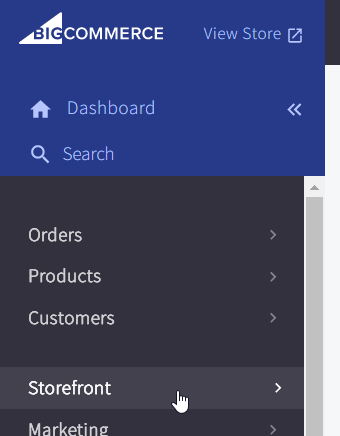 Step 4: Log in to your BigCommerce account. 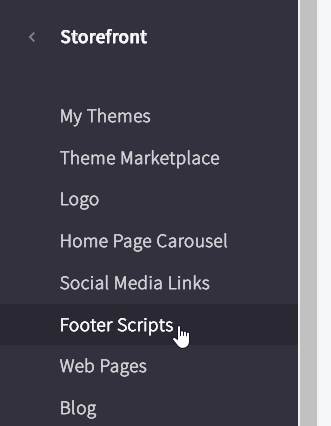 Step 5: From the left menu, select "Storefront"
Step 6: In the left menu, click "Footer Scripts"